When the crowd hears the familiar start to the song, there's a strong positive reaction and the band certainly doesn't disappoint. 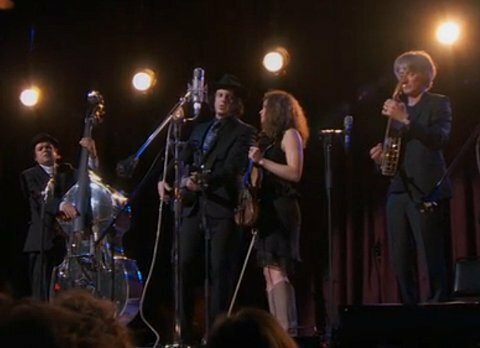 It's a beautiful performance of the song, featuring an upright resonator acoustic bass, banjo, and fiddle accompanying White. What's amazing is how the song unfolds toward the end, as layer upon layer open up like a blossoming flower. This is what great music can do. Unfortunately, the camerawork is below average. However, the audio quality is good.